July has been quite simply LOVELY. So lovely that I’m a little sad to see it end if I’m honest, although hopefully August will be just as wonderful. I vowed to slow down a little in July, and I’m pleased to report that July was indeed, a little less hectic for us. Finally! Despite Josh and I both working away at the beginning of the month, since we got back there has been plenty of family days! We’ve seen friends, enjoyed family pool days at the in laws, eaten a hell of a lot of BBQ food, drank copious amounts of Pimms at the weekends, bought a trampoline which has provided hours of fun (best buy ever) and we even managed a couple of trips to the beach! And best of all, we’ve had glorious sunshine for the most part!! This months Me & Mine photos were taken by my lovely friend Rachel during our evening at the beach (more photos here). 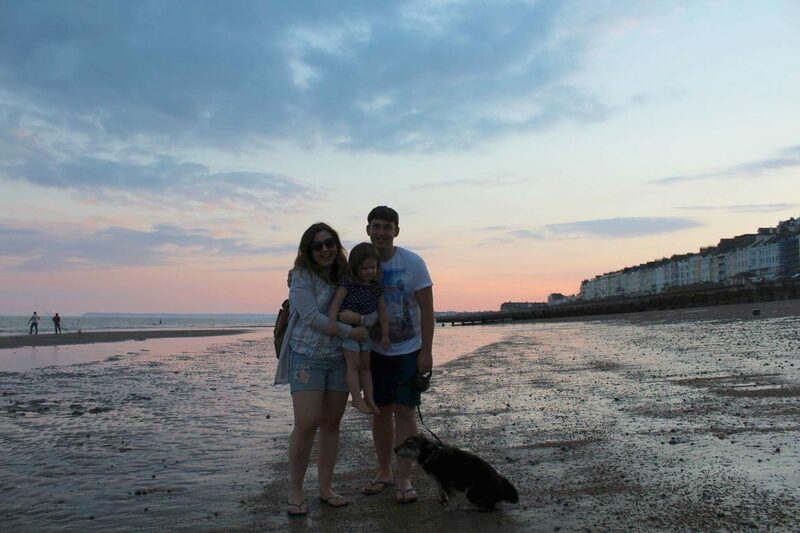 The quality of them isn’t great as the sun was going down but the sky was just too pretty not to take some family snaps! 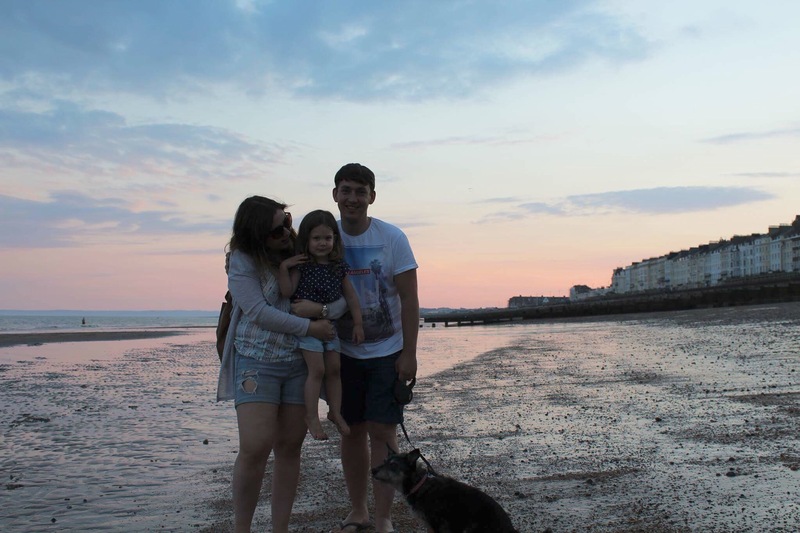 We had such a nice evening frolicking on the beach, so regardless of the photo quality, I’ll always look back on these photos with fond memories. Which is the whole point of this project really, isn’t it? To document those happy family times month by month. July has left me feeling so content and I can’t wait for more of the same in August. We’re off for a little break to Norfolk at the beginning of the month to visit some family and I’m really looking forward to it. But after that we don’t have any other huge plans at the moment which is always nice, as you never really know what the coming month will bring! The end of August also marks a whole year of blogging for me! Life With Mrs Lee will turn One on the 24th of August and I can’t quite believe how quickly it’s gone. I’ll be writing a separate post on my first year of blogging nearer the time I’m sure and the blog will also be having a little re design shortly too! I can’t wait to see what the next year will bring for my little online space. Lovely photos. Great to hear that you had such a lovely July. The sky is beautiful! I wonder if a little editing might make these photos really pop! Awwh, what cute photos. It sounds like you had an amazing July!